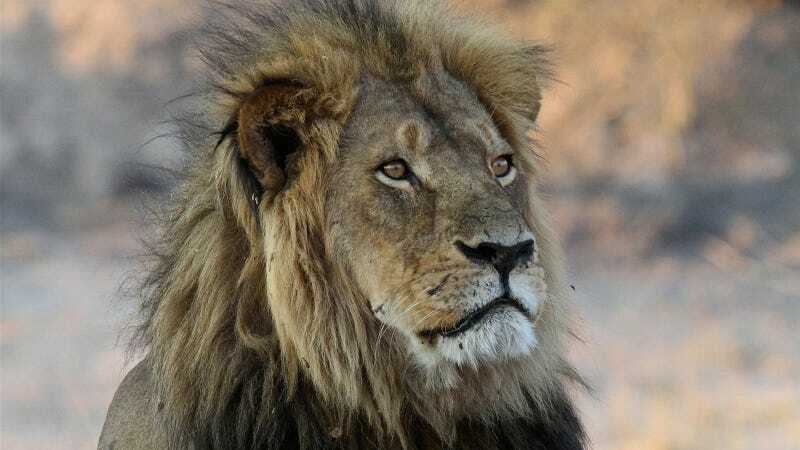 Cecil the Lion in 2013. Contrary to its name, Interior Secretary Ryan Zinke’s newly-created “International Wildlife Conservation Council” is filled almost entirely with people who enjoy shooting animals for sport. So, who are the other ladies on this council? Let’s check ‘em out! The other is Jenifer Chatfield, a zoo and wildlife veterinarian professor who has family ties to the exotic animal trade. The book “Animal Underworld: Inside America’s Black Market for Rare and Exotic Species” accused her father, John Chatfield, of diverting zoo animals to the private market, where they would become pets or stock private hunting ranches. The Chatfield family since has moved to Dade City, Florida, where they operate a facility housing nearly 200 exotic animals that state business records show Jenifer partly owns. In 2013, Florida Fish and Wildlife officials cited the farm for improperly storing kangaroos after one escaped, then died after being tranquilized and shocked by sheriff’s deputies. In fact, Mother Jones reports, Chatfield is the staff veterinarian for that housing facility, the 4J Conservation Center, which has been cited by the Department of Agriculture for unsafe and unsanitary conditions violating the Animal Welfare Act. Chatfield also performed astoundingly horrifying experiments on lemurs at a Tampa zoo. At least 10 of the 16 members of the council are affiliated with Safari Club International, an advocacy group with administration ties which heavily lobbied against the (recently overturned) ban on African elephant and lion trophy imports; The Hill reported that in 2014 and 2016, SCI’s PAC donated a total of $14,500 to Ryan Zinke’s congressional campaigns. The contention—apparently shared throughout the council—that expensive trophy hunts effectively funnel money into conservation efforts is a dubious one (Trump actually tweeted something similar last fall, before evidently deciding he didn’t care), and as the Associated Press notes, actual conservationists say that killing the biggest, strongest animals—as trophy hunters explicitly encourage one another to do—weakens herds that are already severely threatened. “Notably missing from this trophy hunting council are legitimate representatives of the conservation community with proper scientific credentials and a record of successful conservation programs, along with wildlife law enforcement experts and biologists who have no financial stake in promoting trophy hunting,” Masha Kalinina, the international trade policy specialist for the wildlife department at the Humane Society International, told Mother Jones. I feel slightly ill, how about you!